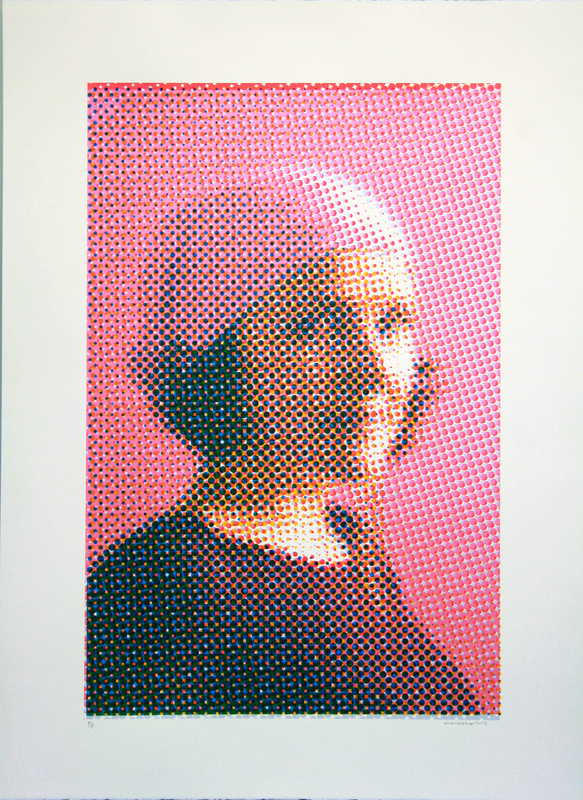 Klodetta represents a series of photographs of Séan Hanrahan’s wife Masha Falaleeva. 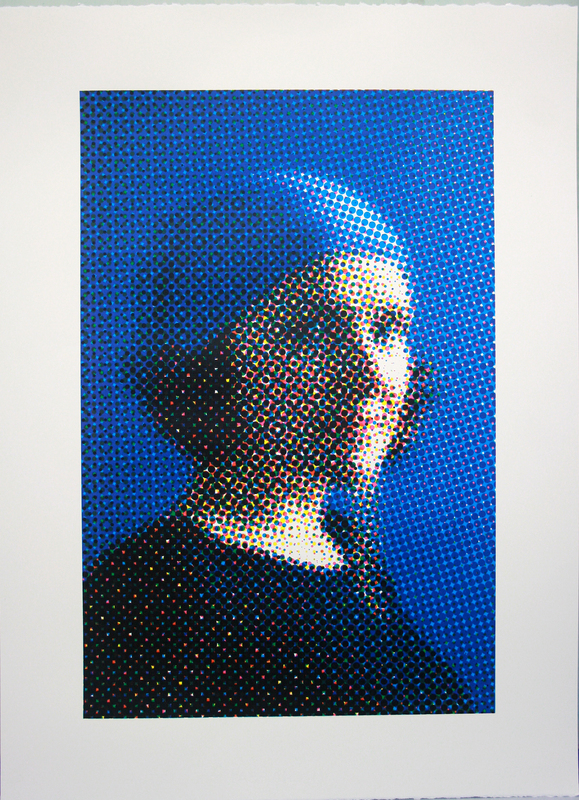 The works emphasis, is based on experimenting with the Halftone pixelated process to create fine art Print based Portraiture. 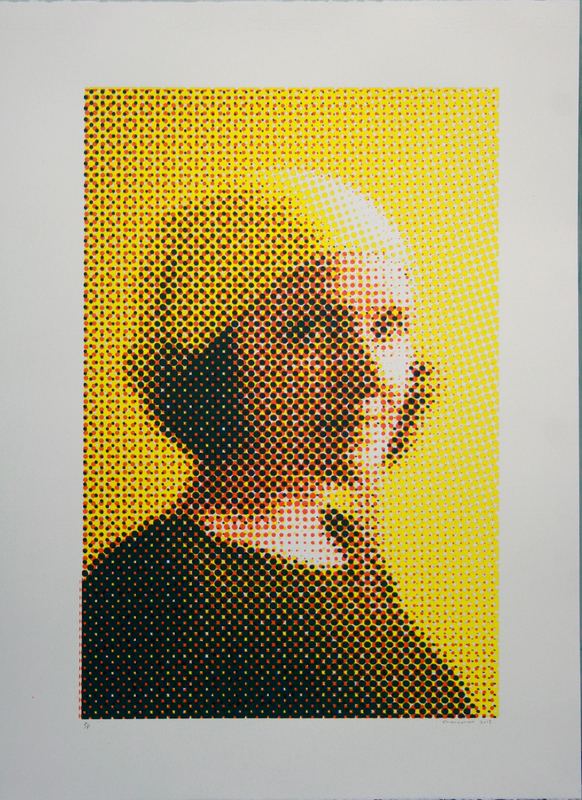 Séan Hanrahan graduated with a degree in Fine Art Printmaking from the Limerick School of Art and Design in 2005. Since then he has been a full time member of Cork Printmakers. He Lives and works in Cork City, Ireland. Recent Solo shows include June/July 2015, Night Frightens the Day/Калі ноч палохае дзень VCCA (Centre for Contemporary and Modern Art) Minsk Belarus, and in Sept/Aug 2014 Night Frightens the Day/Калі ноч палохае дзень in VCCA (Centre for Contemporary and Modern Art) Vitebsk Belarus. Recent Projects/exhibitions include Over the Sun (Kazimir Malevich his Legacy and influence on Western Artists) Selected and organized by Séan Hanrahan, Participating artists Séan Hanrahan IRE. Dominic Fee IRE. Josh Dannin U.S.A. held in June/July 2015 at the VCCA (Centre for Contemporary and Modern Art) Vitebsk Belarus. 2nd Global Print 2015, Douro Portugal. Anthology of Artists: Bottega Del Tintoretto Venice, Italy Sept/2013. TR5 International Residency with Cork Printmakers which was part of the 2013 Cork Mid Summers festival programme. In 2009 he was Commissioned Artist for the 55th Cork International Choral Festival.